I love watching my husband cook; he is a natural. He doesn’t have to smell or taste spices to know what works. I made roasted carrot soup and I couldn’t decide how to season it. My method: meticulously take little tiny bowls out of the soup and try a variety of spices but I can never seem to get it right. I give my husband a bowl and watch him grab numerous spices, gives me a taste and it is perfect. I wish I could be like that, so carefree with my seasoning. Someday...I doubt it. 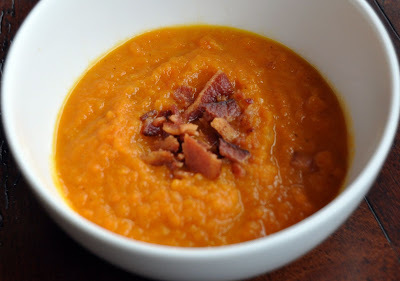 In the mean time here is a delicious hearty winter soup for you to enjoy. 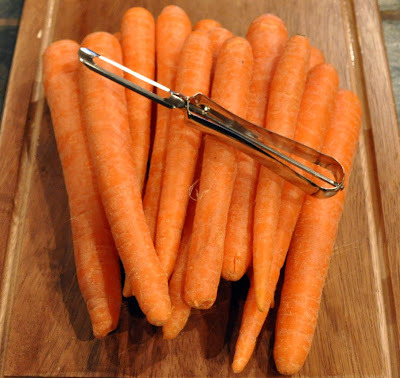 Peel and cut the carrots and onions into chunks put them in a cookie sheet. Drizzle with olive oil, sprinkle with coarse salt. 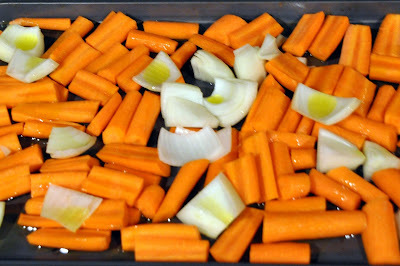 Roast at 400° for 35-45 minutes. They should be soft and caramelized around the edges. 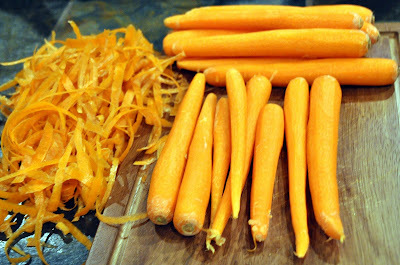 While the carrots and onions are roasting. Add the butter to a dutch oven and melt. 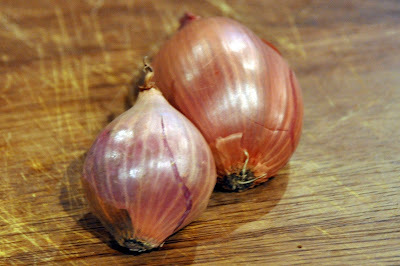 Add minced shallots and garlic and saute until shallots are translucent (few minutes). Add the roasted carrots and onion and chicken stock to the dutch oven and stir. Add the seasoning. (Feel free to mess around with the seasoning measurements but what I listed is what we thought tasted best. If you like cumin...have at it). 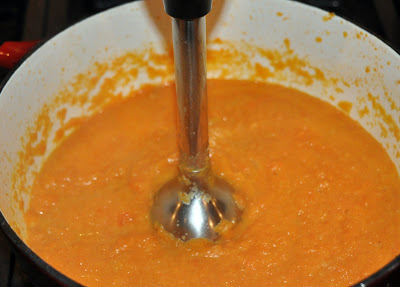 Blend all ingredients with an immersion blender or carefully transfer into a blender and blend. Bring the soup back to a simmer for 20-30 minutes. 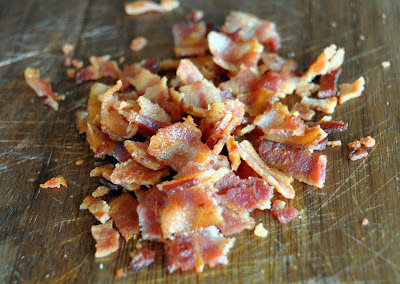 Fry the bacon in a deep skillet until crisp. Then chop into little pieces. 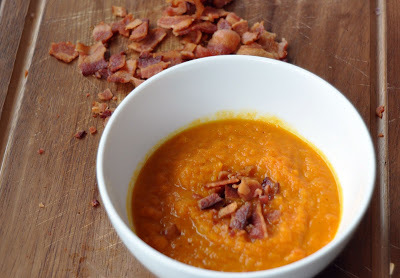 Put bacon on top of the soup in serving bowls and enjoy. Any time you assume type elegance and pace, 1 of the 1st issues that arrive to thoughts could possibly be considered rolex replica. Driving down the highway at 90 miles an hour, the fields of green whizzing by your hublot replica audio holding you in speed in your road to anyplace, USA. For many years tag heuer replica has introduced us the best styles that capital can invest in. Not just inside the fabulous cars which they make but additionally in rolex replica sale as well as other accessories for that best Rolex lover. For countless acquiring a Rolex is known as a dream several a long time away or maybe not at all. Even though they such as the Porshe title, they could never be able to rolex replica find the money for one particular. Nevertheless, those a large number of might go to the next very best factor.